This is really the very last chance you are going to get to get an amazing amount of product!!!!! $156.50 in product that you get to choose. Pick whatever you want!!! and it will ship to you for FREE!!!!!!! 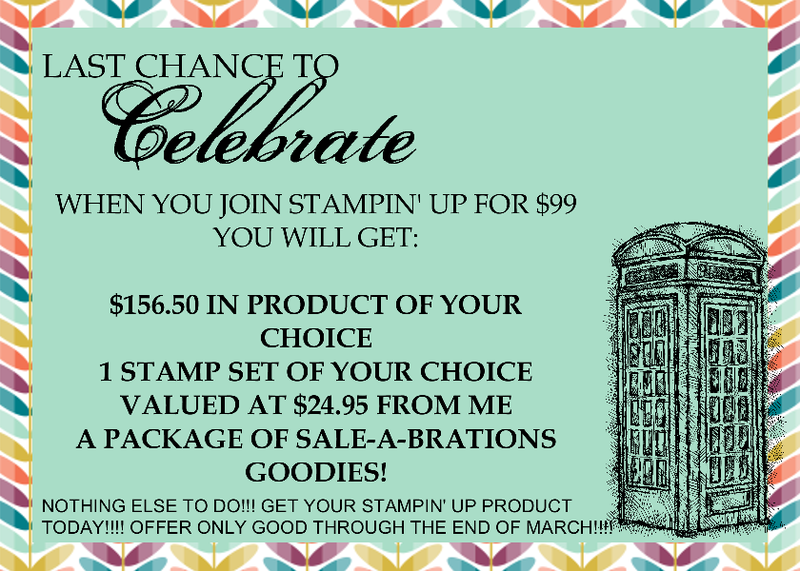 A bag of Sale-A-Bration goodies – Paper, Ribbon, Buttons and a surprise! There is ZERO RISK in signing up! You don’t have to do anything else you can just get all the amazing product! Please don’t miss out on this amazing deal!!!!! !